- ​ Greg Ward - Master of Ceremonies. As a professional Master of Ceremonies and highly-effective communicator, Greg works closely with you to create an effortless flow to your event. With over 13 years’ experience in the conference & events industry, including corporate and association conferencing, gala dinners, awards evenings, product launches and road-shows, Greg shares his expertise to make your event even more memorable. Inspirational, Awesome and Outstanding are words used frequently by audiences to describe Ngahihi Bidois. The recipient of New Zealand Speaker of the Year and New Zealand Inspirational Speaker of the Year awards Ngahihi believes that leadership starts with the person in the mirror. 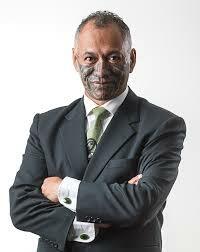 He refers to ancient wisdom from his Maori culture as Modern Solutions for you. He holds a business degree, a teaching diploma and a Masters Degree in Education with honours. A world class international speaker, Billy Graham is New Zealand’s best-loved motivator and fitness advisor. Bold, humorous and brimming over with energy and enthusiasm, Billy is passionate about inspiring people to increase their potential. He stresses the importance of combining a healthy body with a healthy attitude and of making the most of very opportunity, talking to a wide cross-section of the community from the business executive to NZ Police, through to school children. Billy delights in telling stories of his own to show that anyone can make it. Having left school unable to read or write, Billy took up butchering, later teaching at three New Zealand colleges, and developing his own business as an international motivational speaker and fitness advisor. No small achievement for a dyslexic who left school at 14! Having spent a lifetime involved in sport and physical fitness, Billy has designed a unique fitness product complete with endorsements from the US Air Force Academy and Floyd Patterson; ex-world heavy weight champion. A former New Zealand and Australasian light welterweight boxing champion, Billy has achieved success through goal setting and determination. In January 2006 Billy established the Naenae Boxing Academy; a charitable work which is the fulfilment of a life-long dream to have his own boy’s club in his troubled home town of Naenae. Billy trains up to 80 young men three days a week; a large number of whom are at serious risk, out of his desire to make a difference and provide for others what was provided for him. 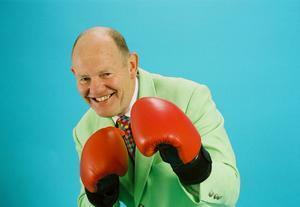 In 2011 Billy received the national title of New Zealander of the Year Local Hero for outstanding service to the nation. Published in 2012 Billy’s second book ‘Making Champion Men’, based on his experiences mentoring Kiwi youth, was chosen for presentation to international publishers at the 2013 Frankfurt International Book Fair. In July 2014, the Cannons Creek Boxing Academy was opened; the first new academy based on the successful Naenae model. Hopefully it will be the first of many! Jack has been made a Fellow of the Institution of Engineers New Zealand (IPENZ). The honour was made for Jack’s major contributions to advancing engineering practice and leadership in the profession, particularly in regard to amusement rides and cranes. Jack helped lead the development of IPENZ’s Recreation Safety Engineering group, which is now recognised by WorkSafe New Zealand as the representative body for certifying and administering the safety of amusement rides and devices as diverse as merry-go-rounds, bridge swings and tethered balloons. The little known area of engineering in which Jack specialises is making an important contribution to public safety. Jack has advocated for continuous improvements to not just amusement rides but also logging machinery and cranes. 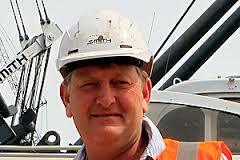 He works as both a consulting engineer and a CBIP-qualified crane inspector in general industry and the ports. Clive has been involved with the safety Industry since 1970 and has specialised in height safety products and solutions since 1977. He has worked mainly in product sales, and has travelled the world working with manufacturers to identify products that provide workable solutions for his customers. He has found that unless the products are user friendly, and assists the user in doing the job at heights, it doesn’t get used as the focus is on getting the job done. 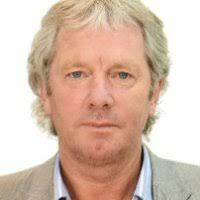 He has worked in an Australian height safety equipment manufacturing plant, managing a height safety soft goods sewing operation and was also in charge of testing the products for AS/NZS Standards certification. He then further specialised with permanent height safety systems and was GM for a UK based manufacturer of permanent height safety systems in Australia, which involved the designing and installation of systems in all Australian States. Prior to returning to NZ he was Operations and Safety Manager for an Abseiling company with 8 permanent abseilers working on various structures from High Rise apartments in the Gold Coast to large road cutting embankments providing stability and safety repairs. Having recently returned to NZ he has been a trainer in height safety, confined spaces and EWP equipment and joined Cookes in May 2015 to co-ordinate and promote Cookes as a “Total Solution Supplier” to their customers. In April 2016 he visited Austrian, German and Swiss manufacturers to source the most up to date height safety solutions and now Cookes are the NZ agents for Innotech Safety Systems, Mittelman Rescue Systems and Abra walkways and ladders. Clive will be demonstrating drop testing and fall arrest forces along with rescue equipment showing how to escape safely and quickly from heights. Hamish is Site Manager at Meridian Energy, covering the Taranaki, Wanganui & Manawatu areas. His role is to manage the operation and maintenance of wind turbines, high voltage system and civil infrastructure. The sheer engineering feat of the powerful wind turbines and the sustainability of the technology fascinate him. The machines are impressive, with a turbine town measuring 70 metres high and the blades 35 metres long. Hamish has travelled extensively learning how to install, service and fix wind turbines. A diesel mechanic by trade, Tim is the founder and Managing Director of Smith Cranes & Construction in Christchurch. A multifaceted contractor with operations in Crane, civil engineering, construction and heavy haulage, Smith Cranes & Construction Ltd was significantly involved in helping to rescue survivors at sites badly affected by the February 2011 earthquake. Danny Black was born in 1969 and joined Franna Cranes Pty Ltd fresh out of the University of Queensland as a young Design Engineer in 1989. Danny has a Bachelor of Engineering in the field of Mechanical Engineering. Danny’s interest in crane equipment was evident as he became involved in research and development of Pick and Carry 4WD Franna Cranes under the watchful eyes of Brian Hain. In 1991 Danny was promoted to the position of Engineering Manager where he was in charge of the early design team with successful new models evolving from 10 tonnes capacity to 12, 14, 18, 20 and 25 tonnes capacity. As Franna was also a distributor of large imported cranes, Danny gained a lot of experience and by the early age of 30, Danny was an accomplished Chief Design Engineer. USA based Terex Corporation purchased Franna Cranes in 1999 and introduced more imported Rough Terrain, Large Hydraulic and Crawler Cranes, Danny continued his employment as Engineering Manager under the new ownership until being appointed the General Manager for the Terex Cranes Australian operations in 2009, the position he still holds today. 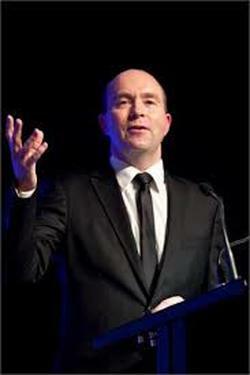 Danny has represented CICA on the Australian Standards committee since 2000. 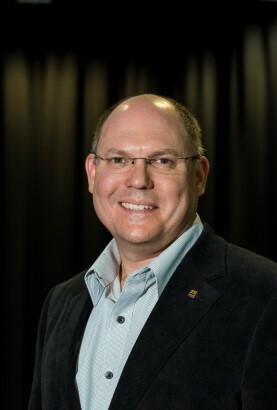 In 2003 Danny was appointed Vice President Marketer on the Executive Committee for the Crane Industry Association of Queensland (CIAQ) and still currently retains this position. In addition, Danny joined the CICA Board in 2005, and took up the position as CICA Vice President in 2009. In 2014 Danny was appointed to the position of CICA President, the Board position he holds today. In 2012 Danny was awarded the Con Popov Memorial Award. The Con Popov Memorial Award is awarded to an individual by CICA to recognise outstanding contribution to the industry over a considerable time period. Stuart joined WorkSafe NZ as Technical Specialist in the field of Cranes, Lifting and Pressure Equipment, at its inception in December 2013, following over 13 years (8 in New Zealand and 5 in the UK) as a board certified inspector in the same field. His current role, as part of the Technical Services Team, is to provide technical advice on the Pressure Equipment, Cranes and Passenger Ropeways Regulations. He currently sits on Standards Australia and Standards New Zealand standards setting committees as New Zealand representation. On behalf of Worksafe he chairs a recognised Inspection Body Managers forum to try to ensure consistency across New Zealand. Barry has 37 years’ experience since graduation starting with the Ministry of Works and Development which transitioned to Opus and then followed by a consultancy role with MWH before starting with NZTA 5 years ago. His career has included various roles primarily in the transport sector on asset management, bridges and other structures both in NZ and overseas. Passionate about cranes and brimming with enthusiasm, Kymberly is thrilled to be given the opportunity to present at the Crane Association of New Zealand Conference 2017. As the General Manager of Maxilift Australia, Kymberly is focused on bringing high quality lifting solutions to the crane industry. Thinking outside the box, and finding unique solutions for customers is a key part of the Maxilift Australia philosophy, and Kymberly is a strong advocate of this, both with the initial sale and after sales support, service and technical advice. Pride in the Maxilift team and the market leading products makes this an easy job, for which she loves coming to work each day.